The high unemployment rate and rising inflation rate has made it very important for every person to make a perfect choice about his/her career as it is a turning point of life. A good choice will lead you towards success while a bad choice can result in a waste of time and effort for you. 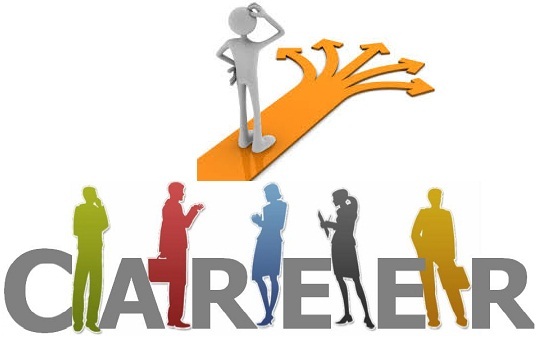 So to help you in making a good choice, below we have listed the best career options in Pakistan that have the highest earning scope now and in future. While making a choice it is important to create a balance between your field of interest and the aspect of earning. The reason is that if you will prefer your area of interest over earning factor than it will become difficult for you to manage the financial matters while choosing a job with higher earning but not having a interest in that field will lead you towards getting bored of the job and you may even quit it after a few years. No business can survive without a proper administration that’s why business administration has become one of the highest paying fields in Pakistan at the moment. An individual who has completed his/her MBA with specialization in Human Resource, Finance, Marketing etc., can get a job in various departments like Marketing, Sales, HR, Accounts and Purchasing. No doubt that medical is one of the most well-reputed fields along with being a high paying job. Although it takes a bit longer period of time to complete education and get settled in this field but once you have than you will be earning a lot more than many business owners. Their are various fields and medical like dentist, doctor, physician etc. and you can choose any one of these according to your preference. Although education is important for every individuals personal development but its not necessary that if you are not well-educated than you can not earn well. If you are good in any sports like cricket, hockey, tennis or snooker etc. than all you have to do is prove your talent to the relative selection authorities of national team. Once you have started to represent the country at international level, you will be earning a handsome amount of money through salary, winnings and endorsement deals. The best things is that you will be earning all this much money and fame by playing your own favorite game. In every field of life, computers are being used to make our work easier and the trend of their usage in growing with each passing day. So the computer science field has a huge scope in future and with a degree in this field you can become a computer programmer, web designer, software engineer, Graphic designer and applications developer etc. The accounts department has a huge amount of importance in any company as it is the one that manages the flow of whole financial activities in the company. There is a huge demand for good and experienced chartered accountants not only in Pakistan but also worldwide. So if you are good with numbers, than go for this field. You may have to start at a lower income level but after a few years, you will be earning a quite high income. These field has seen a immense amount of growth in Pakistan during recent years. Just like other countries, the people living in Pakistan have also started to adopt new fashion trends on regular basis. Recently, so many new local fashion designers and brands have emerged on international level and they are undoubtedly doing very well. The usage rate of internet is rising around the world with each passing day and same is the case in Pakistan. People now prefer to go online for various purposes like shopping, entertainment or searching information so the fields of web designing and web development have a huge scope at the moment and it is going to keep increasing in coming future. Software engineering, mechanical engineering and telecom engineering, they all are a high paying jobs and have a good scope in future too. All of these fields are growing at a very healthy rate in Pakistan. You may have to start from bottom but after a few years of experience you will surely reach the top position. D-pharmacy has no such scope in pakistan. After doing d-pharmacy you have only authority to make your own buisness of pharmacy except this there is nothing. The best from d-pharmacy is DVM or DND.